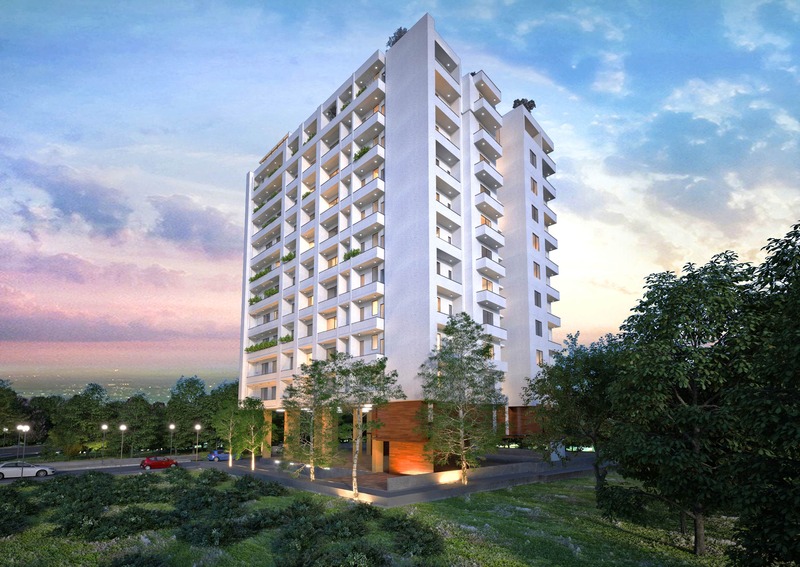 EXPERIENCE QUALITY LIVING Reddening the meaning of quality living, Aster Residencies is proud to be Nugegoda’s nest residential complex. This modern property gently resides in a tranquil neighbourhood on the Poorwarama Road in close proximity to Colombo city limits, thus combining serenity with urban living. The moment you embark towards the private road leading to the property, you will realize the comfort and convenience of your future abode. Aster Residencies is exclusively designed and built by Maga Engineering, the brand synonymous with quality and timely delivery of projects. 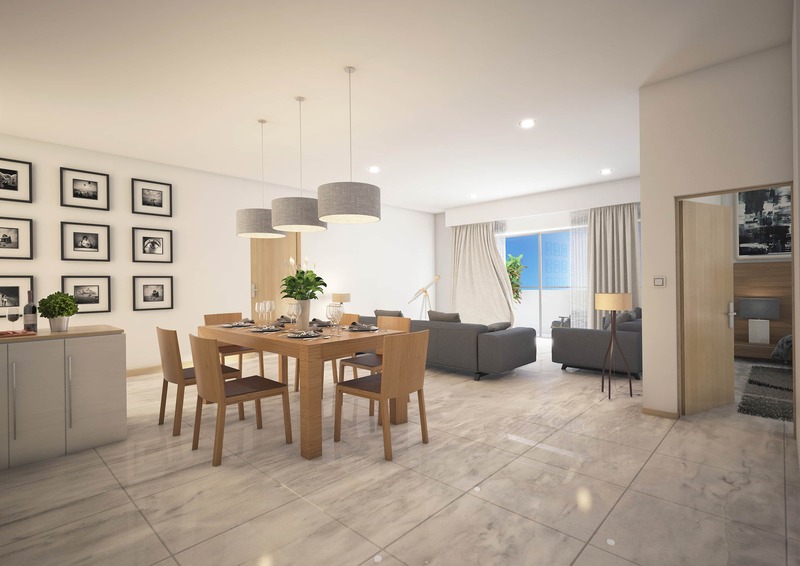 Maga will hold the responsibility of giving life to this premier complex, upholding the highest standards in the industry and fullling your living aspirations. 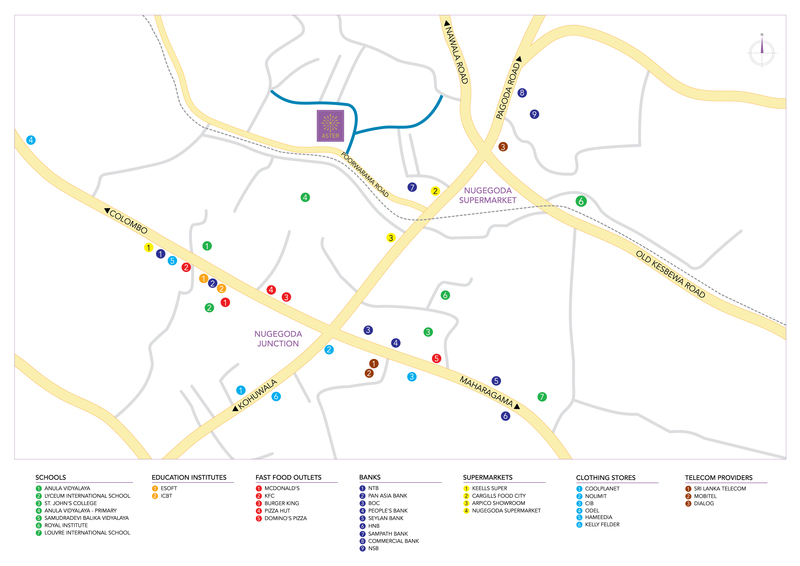 Redefining the meaning of quality living, Aster Residencies is proud to be Nugegoda’s finest residential complex. 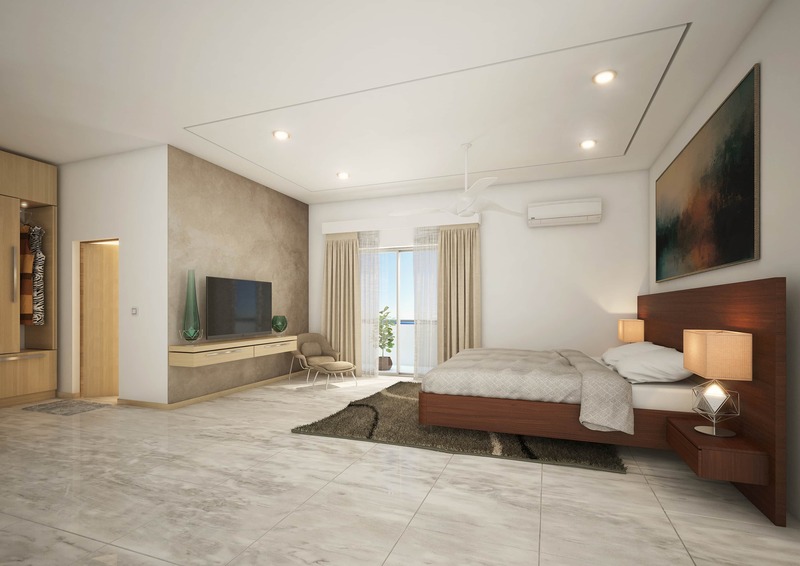 This modern property gently resides in a quiet and tranquil neighborhood, which combines serenity with urban living, despite being in close proximity of the Colombo city limits, The moment you descend towards the private road leading to the property, you will realize the comfort of ease and convenience of your future abode. Reinforced Cement Concrete (RCC) pile foundation with RCC columns and RCC plinth beams and walls. RCC columns, beams, slabs and cement block walls. Top and bottom cupboards made out of mahogany, processed wood or equivalent. 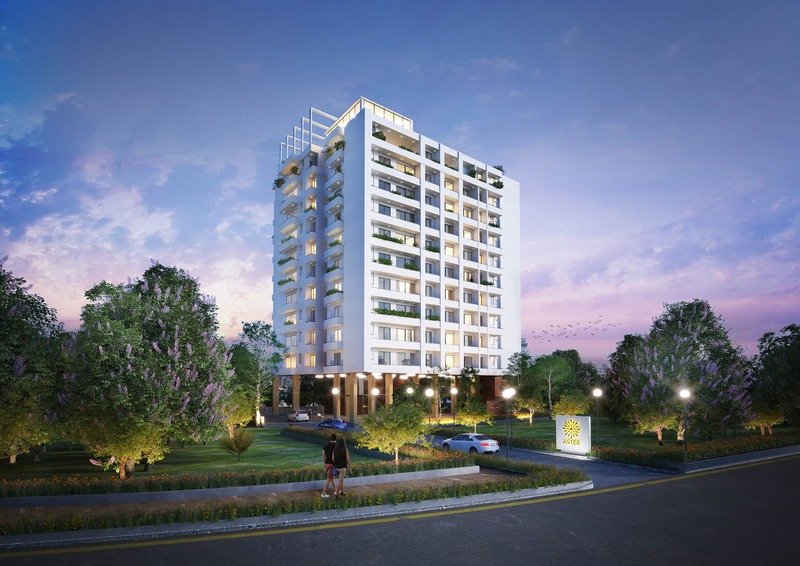 Aster Residencies is a BOI approved property development project and a joint venture with Maga Engineering (Pvt) Ltd. Aster Developers is a company with track record of investments under many business portfolios. 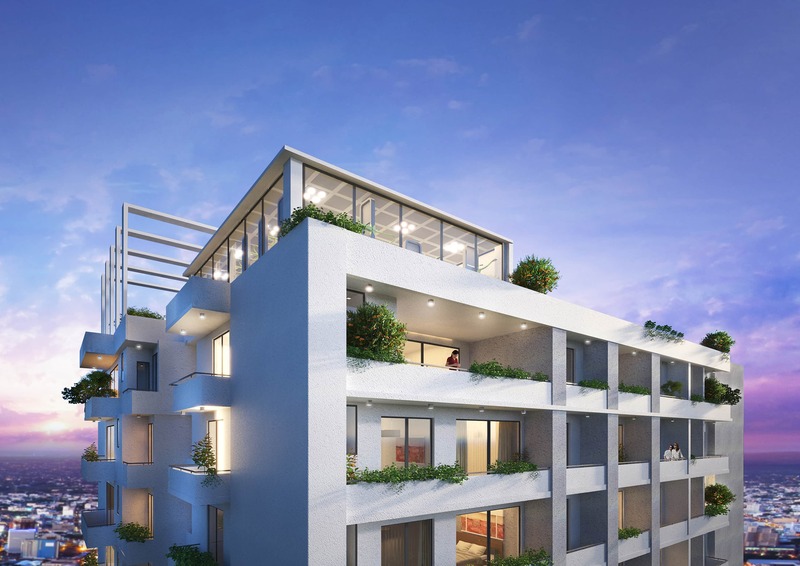 The architectural design of the building has been carried out by Architects OENS Design Studio, whose portfolio includes the 33 storey Maga One, 26 storey Orwell Residency in Colombo, 63 storey 606 The Address at Colombo, Citrus Hotels Hikkaduwa and Waskaduwa. The design philosophy has centered on their trademark efficient and correct space planning in an elegant building form. Maga Engineering, the largest and the most trusted construction company in Sri Lanka, will deliver this unique project utilizing its vast experience in the field of construction. Maga has successfully completed over 400 multi-disciplinary projects both in Sri Lanka and overseas. From an array of luxury hotels, apartment buildings and hospitals, to key public infrastructure such as highways, bridges, airports and water supply schemes, the company has built a reputation for quality and timely delivery of large scale projects. Maga’s focus on sustainable buildings has manifested through several landmark projects. Maga Engineering has the distinction of being the only Platinum-rated construction firm on the country’s Corporate Accountability Index, a testimony to the trust placed in the company by its stakeholders.